RICHARD SOLOMON ARTISTS REPRESENTATIVE: Are you good enough? - Sterling Hundley answers the age old question. Are you good enough? 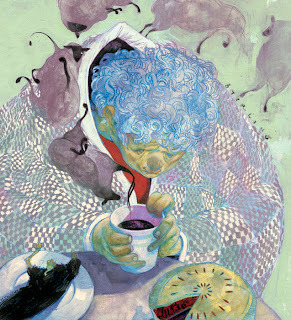 - Sterling Hundley answers the age old question. Sterling Hundley is one of those generous artists who enjoys doling out pearls of wisdom to young and eager students. One question we are all sure he gets at least once a day is "Am I good enough?" The following is an excerpt from Sterling's blog where he gives a truly helpful answer that applies not only to aspiring artists but seasoned vets as well. I've had students in the past ask me the question: "Do you think that I am good enough?" My answer: "If anyone could say anything in that moment that would keep you from pursuing your dreams, then you should find something else to do with your life." The point is rarely wether you are good enough now, or not. Likely, you are not; at least not to compete against the seasoned veterans that will be considered for the best projects with the best budgets. An aspiring creative must be willing to put themselves into a position where they can grow within the discipline. An artists should mature over time. This is the natural way of things. Ideally, we will be better in the future than we are today. The answer to this question doesn't lie in the opinions of others. It is something that you must directly ask yourself."